Maturity in Relationships: Reaction or Response. How were you created to relate to people? In this class, we seek to answer this question from a Biblical perspective. MIRROR is a semester-long, college-level Biblical psychology class designed to help us evaluate our relationship with God and our relationship with people. If you have any questions, please talk to your Bible Study leader, Campus Staff, or go to the Info Table after CCF. 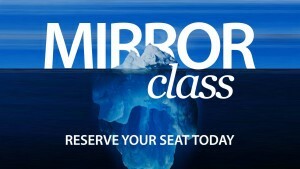 MIRROR class begins Sunday, January 31st.